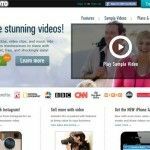 ToolsToo is a productivity enhancing add-in for Microsoft PowerPoint that provides a wide range of editing tools to help you create better slides. 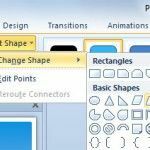 For example, it can be quite difficult to align shapes by using the original features in PowerPoint, however ToolsToo enables users to specify a Reference Shape and allows aligning other shapes to it (reference shape). Similarly, you can display slide statistics and presentation ETA, split text between slides and much more. 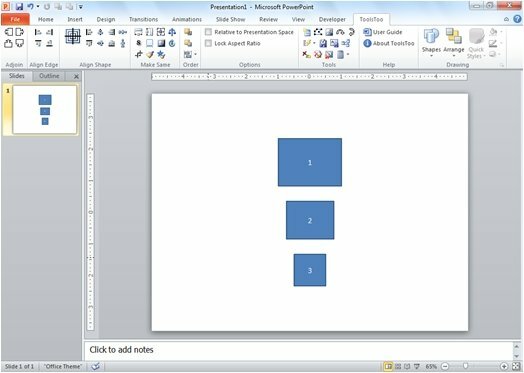 Upon installation, ToolsToo adds a new tab to PowerPoint. This tab contains all the available features that you will require to create better presentations. The sections within the ToolsToo tabs include Align Shape, Make Same, Tools, Help and Drawing. Since we are using the lite version for testing purposes, it is worth mentioning here that the paid version provides more tools than the free version. Coming to the utility of the ToolsToo features, you can use the Align Shape options to align shapes in vertical or horizontal format according to the center of the reference shape (see below example). 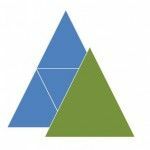 The below illustration shows how you can use the Adjoin tools (available in paid version) to move selected shapes to align the edge of each shape with the opposite edge of the preceding shape. The below screenshot also displays the additional tools that you can acquire from the paid version. 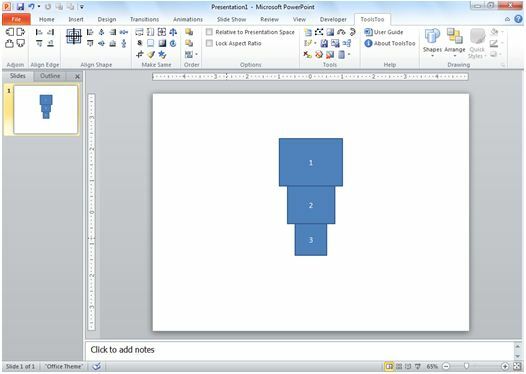 Similarly, you can benefit from other tools provided by the ToolsToo add-in to adjoin, align, squeeze, animate and scale shapes, extract notes to MS Word, remove notes and hidden slides, as well as perform a number of other tasks which otherwise might not be possible or easy to perform using conventional PowerPoint tools. You can download the lite (free) version of Tools Too or purchase the paid version (worth $20) from the link given below.